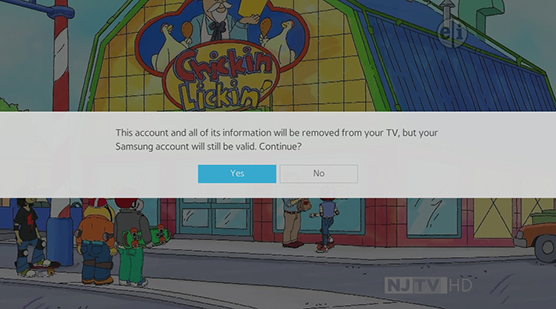 You can remove a Samsung account and password information from your TV. 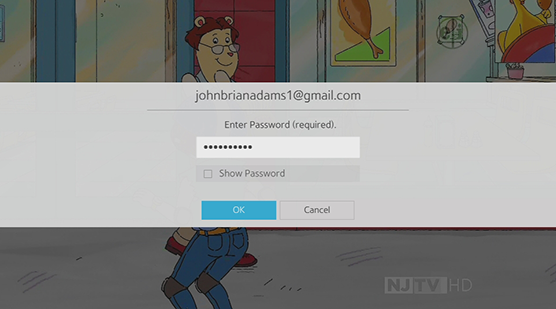 The account information for any external accounts linked to the account is also removed from the TV. 1. Press the MENU button on the remote. Note: When using the Smart Control remote, select Menu in the upper left hand corner of the screen. 2. 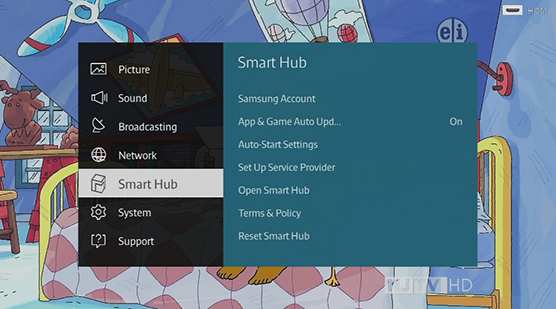 Navigate to and select the Smart Hub sub menu. 4. 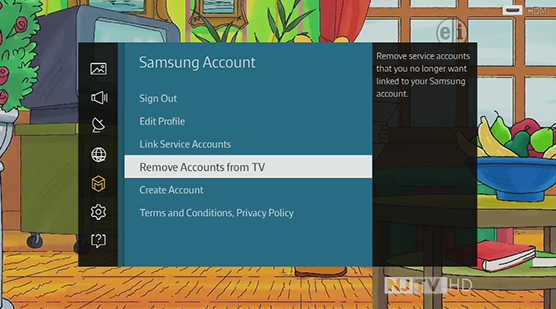 Select Remove Accounts from TV. 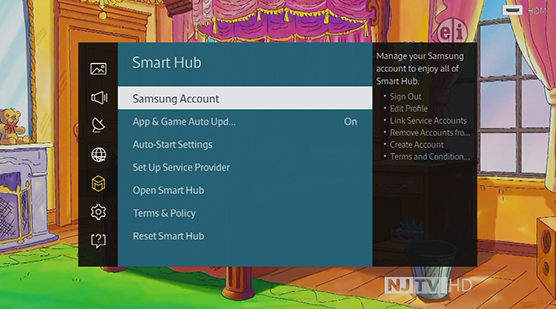 Note: To remove the account information, you must be logged in to your Samsung account. 5. Enter the password associated with the account; and then select OK.
6. A confirmation appears. Select Yes. 7. 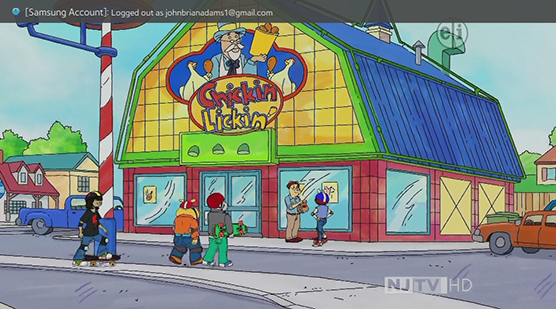 A notification appears in the upper left hand corner of the screen stating that the account has been logged out.